2005. Adobe Illustrator. 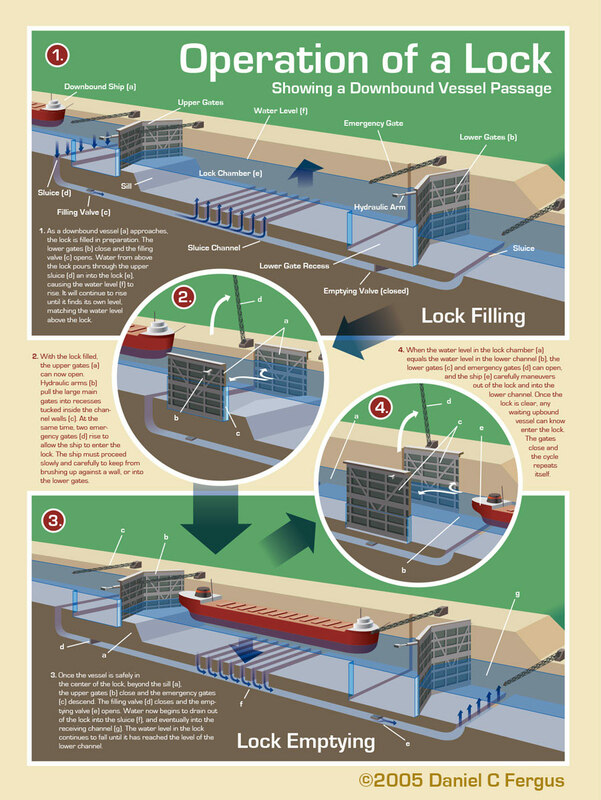 18" x 24"
An educational poster that illustrates the operation of a navigational lock. I love ships, especially Great Lakes freighters. As a child, I would delight in visiting the Soo Locks between Lake Superior and Lake Huron to watch the big ships pass through. I also created a simple Flash animation that shows how a lock operates.